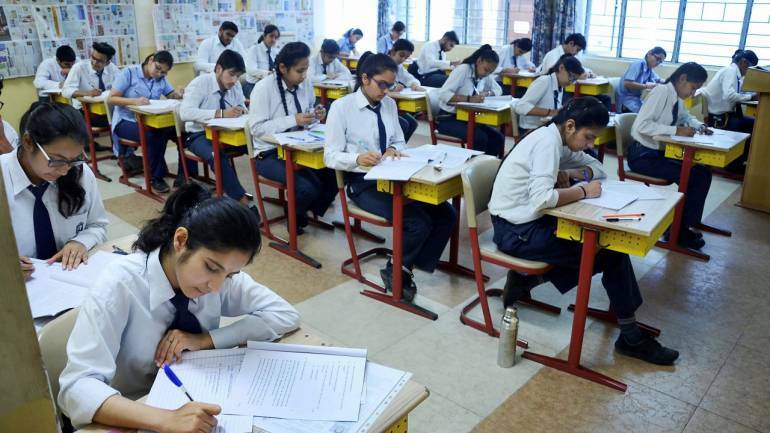 Last month, the Central Board of Secondary Education announced that its class-10 mathematics paper and class-12 economics paper have been leaked in Delhi. Delhi Police on Sunday arrested three people in relation to the leak of the economics paper — Rohit Vats, Rishabh Antil, and Tauqeer Ahmed Hasan. Vats and Antil are teachers at the Mother Khajani Convent School and teach physics and mathematics, respectively. Hasan is a tutor at a coaching centre. The trio charged Rs 2,000 and Rs 2,500 from each student for the paper, media reports said. The CBSE has suspended KS Rana, the official supervising the centre at Bhawana, where the leak took place. The HRD Ministry has said that the economics examinations will be conducted again on April 25. The CBSE is yet to arrive at a decision on re-conducting the mathematics examination. If the class-10 mathematics examination is held again, it will be done only in July and only in Delhi and Haryana, School Education Secretary Anil Swarup said. The Delhi Police has asked Google for details of an e-mail address used to send a mail to the CBSE Chairperson about the mathematics paper. CBSE Chairperson Anita Karwal had received an e-mail about the mathematics paper leak a day before the exam. The police has not divulged the details of Google’s reply. There were reports that the class-12 accountancy paper had also been leaked. CBSE denied the allegation.